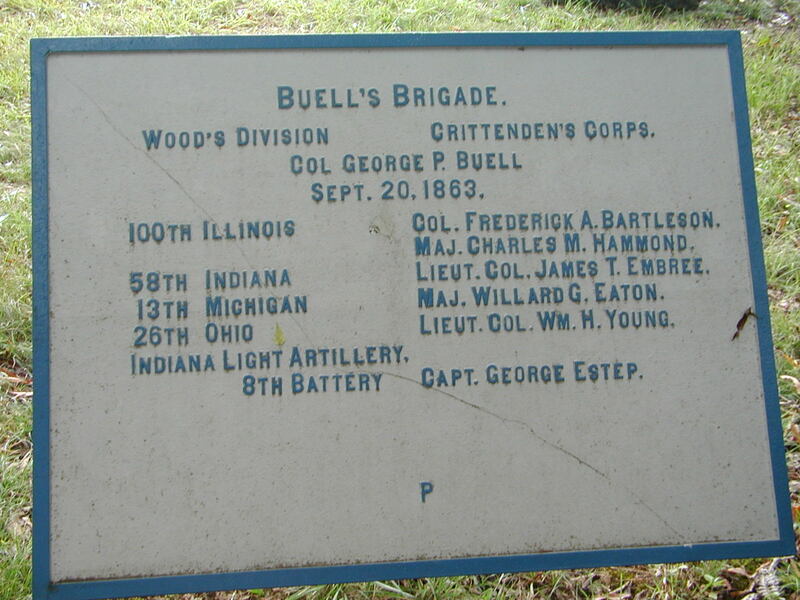 I discovered I had a few more pictures of Civil War memorials to the 13th Michigan Infantry, the unit in which our ancestor Andrew Jackson Boss served. 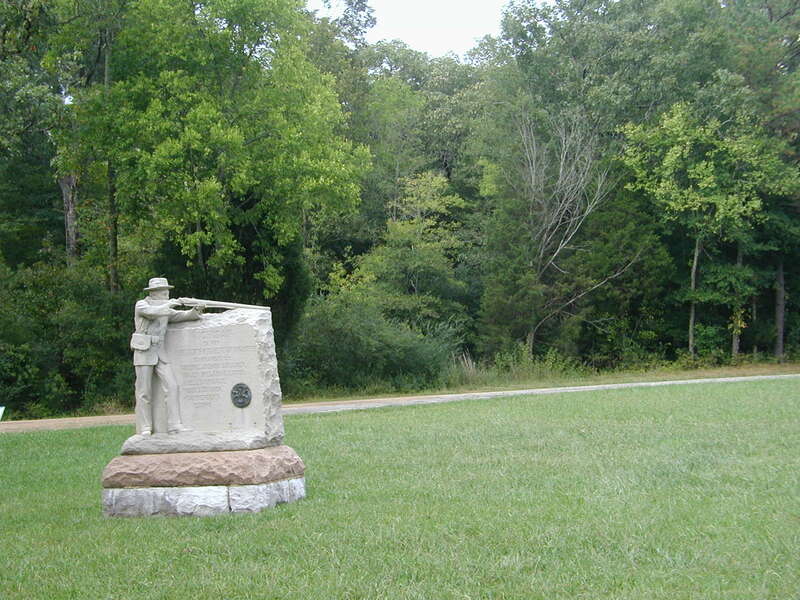 These are some pictures I took at Chickamauga battlefield about five years ago. The Brigade reached this position about 3:30 pm and formed in two lines facing East with the road between them. Upon the repulse of Davis’ troops in front it charged forward, and after hard fighting was forced back across the low ground to the West of the road. There the Brigade rallied and retook the ground of its first advance. Under a charge from the enemy it was again driven back to the road but immediately advanced and regained its ground. 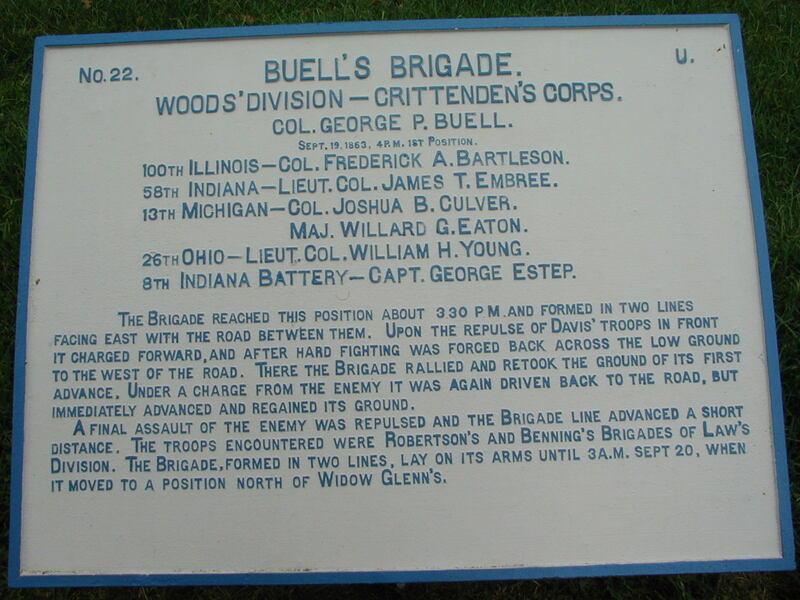 A final assault of the enemy was repulsed and the Brigade line advanced a short distance. The troops encountered were Robertson’s and Benning’s Brigades of Law’s Division. 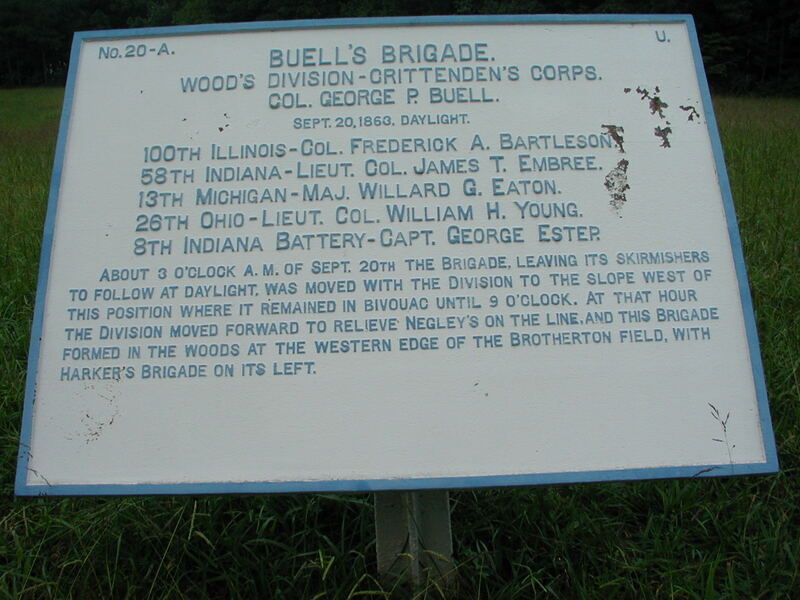 The Brigade, formed in two lines lay on its arms until 3 am on Sept. 20 when it moved to a position North of Widow Glen’s. 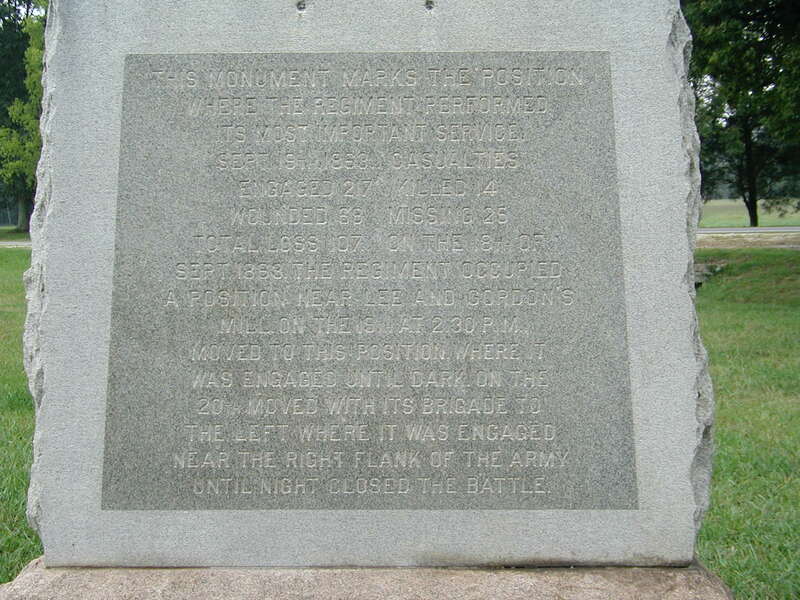 This monument marks the position where the regiment performed its most important service, September 19, 1883. Casualties: Engaged 217, killed 4, wounded 38, missing 25. Total loss 107. On the 18th of September, 1883 the Regiment occupied a position near Lee and Gordon’s Mill, on the 19th at 2:30 pm moved to this position where it was engaged until dark on the 20th. Moved with its Brigade to the left where it was engaged near the right flank of the Army until night closed the battle. This entry was posted in Boss, Military, Pictures. Bookmark the permalink. Thanks for your comment. 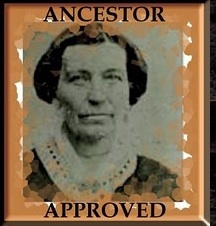 Is there a specific person or item you’re interested in or general info about the 13th? Very nice to hear from you Charlene. Do you know what his rank was or any other details?